The Saudi International Petrochemical Company (Sipchem) was yesterday (September 12) recognised with the ‘Best Social Responsibility Initiative in the Middle East’ award for Sipchem Innovation Club programme. 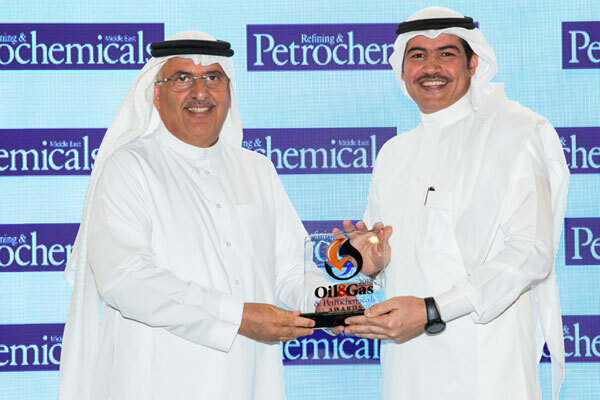 Sipchem achieved this award in the category of companies working in the field of energy, gas and petrochemicals during a ceremony held in the UAE, said a statement from the company. The jury chose "Sipchem Innovative Club" initiative because of the nature of the programme, which was designed to be a platform that combines education and technical innovation to build the capabilities of this generation in various areas, including artificial intelligence, programming as well 3D printing, it said. The club provided an integrated program with a variety of creative projects for more than 120 children, aged 8 -12 years, who are interested in technology, creativity and innovation, it added. Sipchem’s adoption to this project combines supporting entrepreneurship; as a group of Saudi youth, who are passionate about technology and innovation, have run the project in cooperation with “Bright-Up company in Saudi Arabia” through gearing several workshops and practical applications. The club also provides all the needs and tools needed to implement the ideas and initial models of innovation and training young people to use it through workshops, it said.